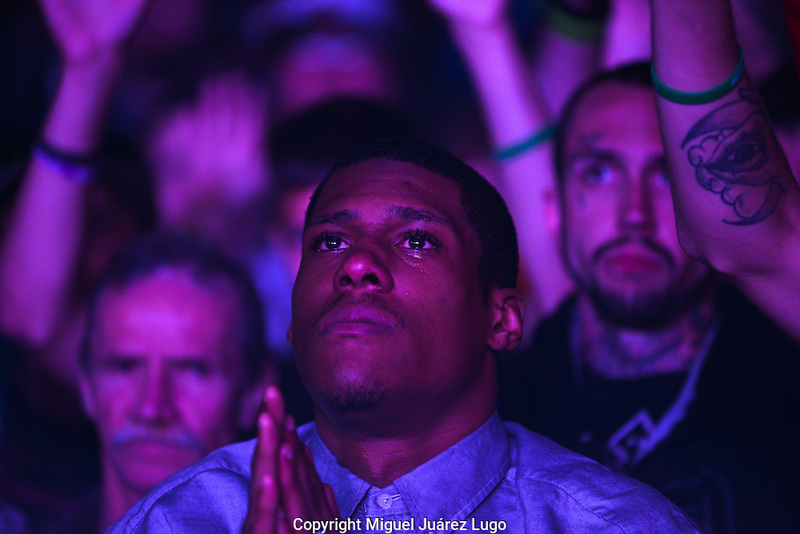 Montezz Williams, 25, prays during an emotional concert for heroin addicts put on by two pastors from the Cincinnati area. Their band, Livestock, uses music and an emotional religious message to reach addicts who have often tried and failed at rehab. Williams, of Dayton, said he has been sober 40 days so far after being addicted to heroin for four years.